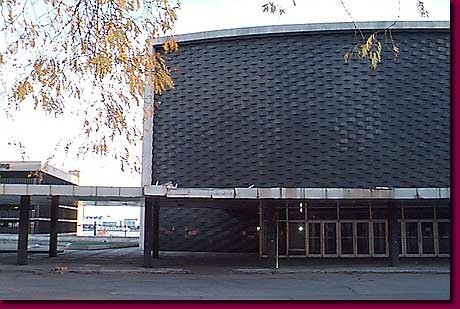 The tattered and begrimed Ford Auditorium, which once replaced Orchestra Hall as the home of the Detroit Symphony Orchestra, as long sat abandoned with its prime location in limbo. Today a beautifully restored Orchestra Hall again features the Detroit Symphony Orchestra. A mistake that no one wants to talk about, Ford Auditorium decays by the riverside while it awaits its fate. Comparing miserably to the superb acoustics of the restored Orchestra Hall for which it was built to replace, its modernist design lacked in warmth and conviviality.